Review Sometimes, less is more. Take Ricoh’s GR Digital III. It’s a compact camera costing more than £500, but if you’re looking for masses of megapixels, countless scene modes, HD movie recording or even an optical zoom, then forget it. This is the digital camera equivalent of the fixed-gear bicycle; a product for enthusiasts who basically want a camera that can deliver excellent results without the frills. Clearly, the GR Digital III isn’t aimed at the average consumer expecting all the bells and whistles for a couple of hundred quid. Instead, it’s designed for the DSLR user or advanced enthusiast who feels more at ease carrying a quality compact in his or her pocket than ever sallying forth cameraless. So it is worth investing in a fixed-focal length compact that costs more than some entry-level DSLRs? You might be surprised. The GR Digital III is a successor to the GR Digital II, launched back in November 2007. Both cameras have many similarities, including a sleek, black metal alloy body with a large rubberized grip. 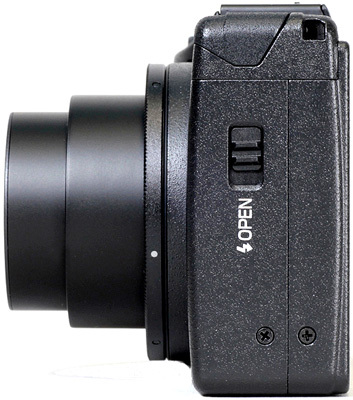 Yet the GR Digital III has a number of enhancements including, a new F1.9, 6.0 mm lens which is equivalent to 28 mm on a 35 mm film camera. The new GR Engine III image processor has improved noise reduction, and the camera features a large 3in LCD screen composed of 920,000 dots. Beneath the skin you’ll find a pop-up flash, plus a 10Mp 1/1.7in CCD with an ISO range of 64-1600. The GR Digital III shutter speeds span 180-1/2000sec and it shoots in JPEG and RAW (Adobe DNG) formats, although there’s no option for simultaneous capture in both formats. Movies can be shot in VGA or QVGA format, although we suspect very few GR Digital III owners will make use of the video facility, and it partly explains why Ricoh has not bothered with an HD option. 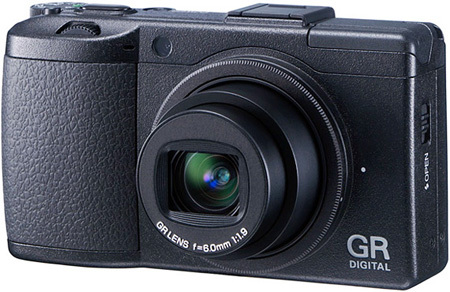 The GR Digital III uses SD/SDHC/MMC cards and also has a useful 88MB of internal memory. According to CIPA standards the supplied lithium battery will provide enough power for 370 shots. In real-world conditions, it’ll be less than this, but we did manage more than 200 frames and still had plenty of battery power left. A nice touch is that you can also use two AAA alkaline or NiMH batteries if you run out of battery power, although don’t expect to get more than 25 shots or so when using this reserve power source.